This shot was taken in Dubai, the name of this building is Cayan Tower. 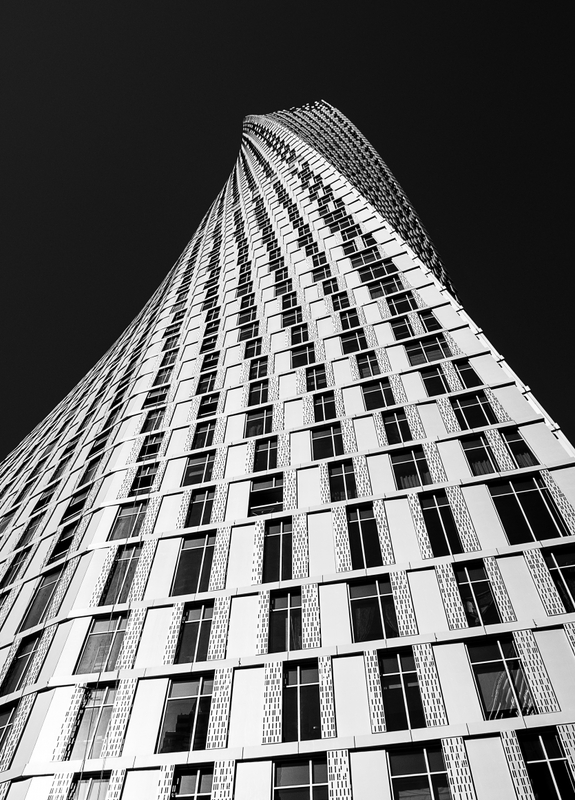 It was world's tallest high-rise building with a twist of 90 degrees. When i was under this giant, i found out that the lines of it build one ladder to the sky and make me feel the sky is closer to me than before. Cristina Venedict Great angle ! João Morgado One of the most interesting perspectives! James Duckworth Nice tonal range with a &quot;twist&quot;.